D.I.S.T. bass speaker cabinets are the ultimate in powerful, transparent sound. D.I.S.T. stands for Dual Impedance Speaker Technology. A patented dual voice coil design gives you the option to switch from from 8 Ohms to 4 Ohms to get most out of your single or multi-cabinet setup. D.I.S.T. cabs deliver professional power, sound, and versatility for every gig. Your notes come forth smooth as silk, yet powerful as a 12-cylinder Ferrari. This is a sound that will satisfy the most discriminating bass player in any style. Soaring highs, thumping lows, and clear, even mids. Sound like this only comes from the hands of a master. 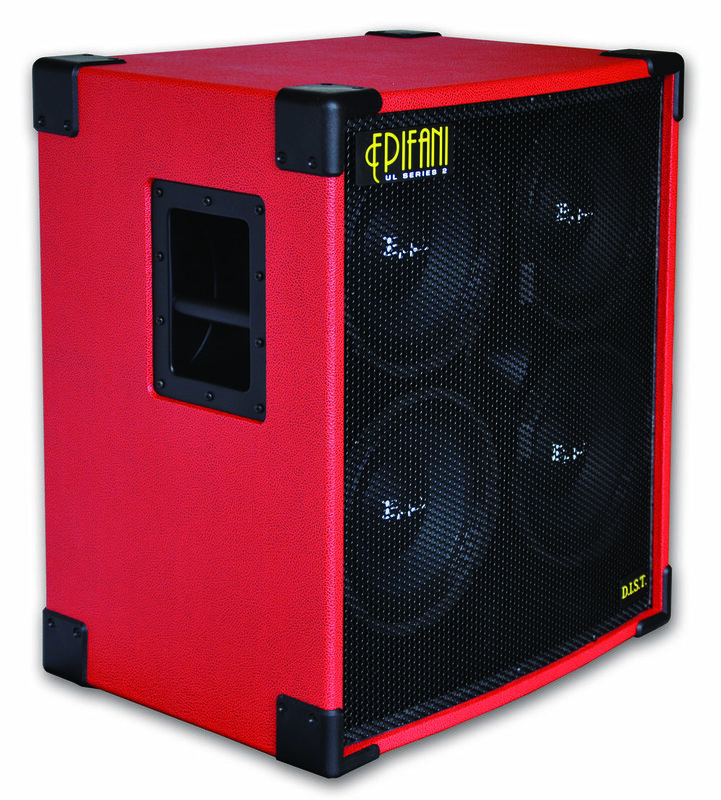 The world's first dual-impedance speaker cabinet. D.I.S.T. bass speaker cabinets feature a revolutionary technology based on a proprietary neodymium speaker design. A complex crossover network allows you to select the ideal impedance—8 ohms or 4 ohms—to optimize the power handling of a single cabinet or multiple cabinet system. Each cab includes expertly designed cast aluminum frame loudspeakers, intricately machined internal construction, and every engineering advance we’ve made in over 20 years of bass cabinet research and design. The sound that’s heard in the best studios and on the most famous stages in the world is now at your fingertips. No other cab comes close. Epifani D.I.S.T. cabinets include unique 10- and 12-inch dual voice coil speakers designed to switch between 4 Ohm and 8 Ohm. The enhanced, light-weight design delivers full-spectrum sound in any room. And, a unique suspension system prevents creasing and tearing. The result is a speaker that produces world-class sound, stands up to the rigors of the road, and never lets you down.